This is the last of three articles from Mayo Clinic intern Shea Jennings on how the Mayo Clinic Center for Individualized Medicine is helping to train the researchers of the future in individualized medicine. 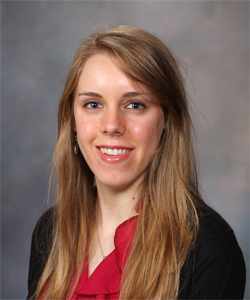 Previously, Shea wrote about Young Researchers Catching Waves with Mayo Clinic SURF Program; she followed it up with Research by the Numbers: The Power of Data to Transform Individualized Medicine; and now she explores the Clinician-Investigators program at Mayo Clinic. Shea has returned to her studies in political science and health politics at Yale University. We wish here all the best and know we’ll be hearing more from this talented science writer in the future. Ask any physician at Mayo Clinic about precision medicine — also known as individualized medicine – and you’re likely to find yourself in a conversation about how this groundbreaking field is already transforming health care. Terms like “whole exome sequencing” and “epigenomics” have entered the medical lexicon. We can now talk about a future in which every patient will have his or her genes sequenced as part of a standard diagnostic exam. But what happens when doctors haven’t yet found the right words, the right answers for care that best fits a patient’s needs? They call on science for new answers. And they collaborate with practicing physicians who have the skills to develop and deliver research-based solutions to patients. Fluent in the languages of both biomedical research and clinical practice, these clinician-investigators play a central part in turning scientific discoveries into real-world medical applications. As the conversation about individualized medicine grows, so does the need for young physicians capable of translating the promise of research to practice. For this reason, the Mayo Clinic Center for Individualized Medicine (CIM) offers mentored research training in genomic medicine to doctors like John Eaton, M.D., a physician-scientist committed to fighting liver disease at both the bench and the bedside. 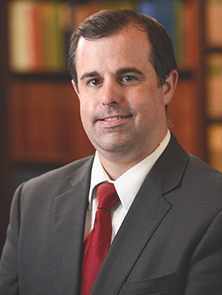 Dr. Eaton is one of three Individualized Medicine trainees in the Clinician-Investigator Training Program, a two- or three-year integrated, comprehensive educational experience for residents or fellows at Mayo Clinic who are interested in pursuing research as part of their medical careers. The program allows him to split his time between his clinical duties in the Department of Gastroenterology and Hepatology and research on primary sclerosing cholangitis (PSC), a disease that causes inflammation and scarring of the bile ducts in the liver. From early in his Internal Medicine residency at Mayo, Dr. Eaton knew he wanted to pursue a medical career in hepatology. And he felt sure that his interest in liver disease would lead him not only into patient care, but also to the laboratory bench, he says. After completing his residency and a three-year Gastroenterology fellowship, he was ready for more intensive research. A clinician-investigator teams with a mentor in Mayo Clinic's Clinician-Investigator Training Program. Though all Mayo physicians share the value of putting patients’ needs first, clinical demands discourage some doctors from conducting research in addition to seeing patients. Physician-scientists must stay abreast of a rapidly growing body of biomedical science and compete for research grants, while also working long hours to gain clinical experience and keeping up with major developments in the practice. The juggling act can lead to burnout and abandonment of research work. To ease this challenge, the Clinician-Investigator Training Program provides Mayo residents and fellows with the resources to improve their skills in both research and practice. Since 1980, the program has supported structured research training for doctors selected through a competitive process to receive protected time for research, ongoing mentorship from a Mayo investigator, and assistance in publishing and securing funding for studies. Now in his second year of clinician-investigator training, Dr. Eaton brings a unique perspective to the role: to his knowledge, he is the first Mayo doctor to enter the program after already completing a fellowship. “You can be a clinician-investigator in various stages of your [medical] training. 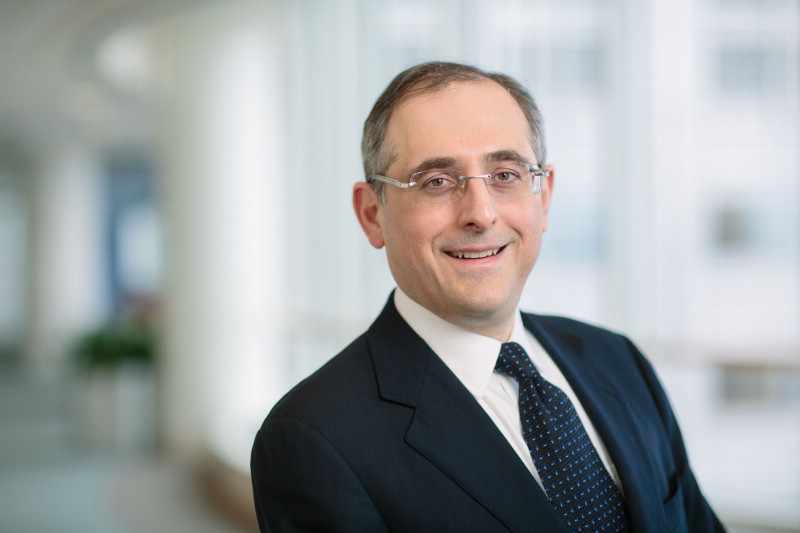 What CIM offered me was the opportunity to do this additional training a little later in my career,” he says, adding that the extra clinical experience has deepened his appreciation for the power of translational research to change patients’ lives. His own research occurs in the Genomic Hepatobiology Laboratory, directed by Konstantinos Lazaridis, M.D., who also co-directs the Clinomics Program at CIM. Mentored by Dr. Lazaridis, Dr. Eaton is studying genetic biomarkers that could predict prognosis and disease development for patients with PSC. He has co-authored several publications during his tenure in the program, and is currently helping create a database of DNA samples from patients with PSC that “will easily be the largest in North America,” he says, and will drive future genomic research on the disease. As his clinical experience has taught him, answering such questions takes time and patience. New genetic tests and individualized therapies for PSC could be years away. But thanks to his experience with the Clinician-Investigator Training Program, Dr. Eaton has great confidence in his skills to translate research into clinically meaningful results – and answers for patients – later in his career. If you’re interested in the Clinician-Investigator program at Mayo Clinic, another fine article on the program, Translating Science into Better Patient Care, is available in Discovery’s Edge, Mayo Clinic’s research magazine.